##Opportunities with hashtags are for selected populations. **Opportunities starred are for women only. Women Over 50 Film Festival (WOFFF) celebrates older women in front of and behind the camera. WOFFF engages audiences, builds creative communities and celebrates films with women over 50 at their heart. WOFFF founder and director, Nuala O’Sullivan, says, “I’m a woman in my 50s, a writer and producer, and a couple of years ago I began to notice a real lack of good roles for older women in films I was watching at short film festivals.” She also noticed how few older women there were behind the camera. She decided to do something practical and positive about this lack of representation, and that’s how WOFFF was born. Women Over 50 Film Festival is now in its third year. WOFFF submissions work on a very simple principal: if a short film has a woman over 50 at its centre on screen or part of the creative team is female and over 50, then the film’s eligible. There’s no upper or lower age limit for filmmakers and WOFFF isn’t open just to women – everyone’s welcome. WOFFF is an inclusive film festival that seeks submissions by and about older women and welcomes films from Women of Colour, LGBTQ+ women, women with disabilities and other often underrepresented groups in filmmaking. The 2017 festival takes place in the Picturehouse Duke of York’s (the oldest cinema in continuous use in Britain) and the Sallis Benney Theatre in the University of Brighton from 14 – 17 September. WOFFF launches at the majestic Picturehouse Duke of York’s, with the feel-good gem, Mamma Mia! It’s a film which not only stars three strong, older women – Meryl Streep, Julie Walters and Christine Baranski - but which also has three strong, older women at the helm behind the camera – writer Catherine Johnson, prodcuer Judy Craymer and director Phyllida Lloyd. The festival then moves along Grand Parade to the University of Brighton’s Sallis Benney Theatre for two days filled with film screenings, special guests, Q&As, talks and workshops. The festival closes with jury prizes for the winners of Best Drama, Best Documentary, Best Animation, Best Experimental, as well as an Audience Choice Award. Winners will receive a WOFFF winner’s certificate, cash and a bottle of award-winning Mother’s Ruin gin.In 2018 all the winning films will be screened at Picturehouse Duke of York’s. The submission fee has a 25% discount in the month of June for #ScreenOpps subscribers. Don't forget to email specialoppscode@gmail.com to get the special code for this month's Special Opportunity! A partnership between the Hamptons International Film Festival (HIFF) and New York Women in Film & Television (NYWIFT), Women Calling the Shots is in its 15th year. The series gives voice to the creative visions of women through film and video, including narrative, documentary, animation and experimental works. NYWIFT invites its members, as well as members of Women in Film chapters worldwide to submit their short films for consideration for this program that is curated by NYWIFT and HIFF. Eligibility: SHORTS ONLY: Films must be 20 minutes or less in running time. (There will be no exceptions for films with extended running times.) Completion Date: Films must have been completed after January 31st, 2016. Previous submissions will not be accepted. Submitted films must not have been released theatrically or received a U.S. television broadcast. Submitted films must not have been released publicly online prior to the festival. The fifteenth High Falls Film Festival, a five-day event celebrating the achievements of women in all aspects of filmmaking, will be held November 2 – 6, 2017 in Rochester, NY. Founded in 2001, the High Falls Film Festival honors the artistry and innovation of women in film — behind the camera, in leading roles on the screen, and at the heart of storylines. Eligibility: We welcome films targeted to an adult audience. All films must be made by, or feature, women in a strong leading role, or films that focus on women and their life experiences. Preference will be given to films made by women in a leadership role(s); including director, screenplay writer, producer, cinematographer, etc. All genres including live action narrative, live action documentary, animation, experimental, hybrid, etc. may be submitted. Breaking Walls is the leading screenplay contest for writers in the thriller genre. We believe well-written thrillers are an excellent way for writers to show Hollywood pros a combination of commerciality, your unique voice, and a clear understanding of effective feature film narrative delivery techniques. Our goal is to reward undiscovered thriller writing talent on an ongoing basis. We're here to break down the walls between your talent and the industry pros looking for the next great thriller writer! Eligibility: International entries are allowed but the script must be written in English. The submitted script must be in PDF format and must be submitted electronically. A title page with contact information must be included with every submitted script. The script must be 80 to 130 pages in 12pt Courier (or Courier Final Draft) with standard screenplay margins and spacing, and pages must be numbered. The script must be unproduced at the time of submission and must be an original screenplay intended for the medium of feature film and the submitter must own 100% of the rights to the script when submitting. Adaptations are eligible as long as the writer can prove full ownership of the original property or life rights (or if the source material is public domain according to US Copyright law.) If the script is written by a writing team, it must be submitted by one of the writers with the consent of the other (any and all prizes will be sent to the writer who submitted the winning script, it is the responsibility of the writing team to share or divide the prizes.) All entries must be received on or before midnight (Pacific Time) on the date of the deadline and must be paid in full to be considered. Imperfectu. International Film and Gender Studies Festival, creates reflections based on film, diverse artistic and academic proposals, individual and organizational experiences, and social movements, in order to generate an interdisciplinary analysis that impacts commonly widespread approaches to gender. Eligibility: There is no limit to the duration of the audiovisual work, nor with respect to the date or origin of the production. Submitted works must contain or make a reference to any topic that relates body-science or body-technology. If your work is in Spanish, you must send it with English subtitles. If your work is in English, you must send it with Spanish subtitles. If your work is in any other language, you must send it with both Spanish and English subtitles. CTFF is a four-day film forum that will introduce new studio and independent features, documentaries, foreign features, short films, animated shorts and re-released classics. The programs will include a variety of special events and panel discussions featuring directors, producers, writers and actors. CTFF will provide a creative forum for emerging filmmakers. CTFF offers the opportunity for student early-career filmmakers, and seasoned filmmakers to showcase their talent and gain exposure. Eligibility: Acceptable formats for preview are DVD (NTSC, Region 0 or 1 only) or secure online screener. No PAL DVDs will be previewed. Press kit are encouraged, but not required to be submitted with your entry, including: Still images (hard photos and/or high-resolution electronic images of at least 300dpi on a CD). Please provide captions for all images. Synopsis, Director's Biography, Director's Filmography, Cast and Crew Listing, If film is selected, the festival will request the following items to maximize exposure for your film: posters, director's photo, trailers, and clips and the press kit. Established in 2012, Shorts That Are Not Pants is a quarterly screening series for short films that takes place in Toronto, Canada. Screenings take place in January, April, July, and October. We've screened more than 150 films from 26 countries so far, and we're looking for more undiscovered gems to show our shorts-savvy Toronto audiences. Members of our programming team have experience working for some of the biggest and best festivals in the world (TIFF, Sundance, Hot Docs) and travel to festivals around the world seeking out the best films and the brightest filmmakers to support. Eligibility: We are currently accepting submissions of short films up to 20 minutes in length. We screen from digital files ONLY. Films not in English must contain English subtitles. Categories: All genres are welcome, and we don't care about premiere status or whether the film is already available online. Fantastic Fest is the largest genre film festival in the U.S., specializing in horror, fantasy, sci-fi, action and just plain fantastic movies from all around the world. Eligibility: Running time for all feature films must be 70 minutes or more. Running time for all shorts must be less than 30 minutes. Selected films must be made available in a 35mm composite print, Bluray, or DCP. Film submissions in a foreign language must be subtitled in English. 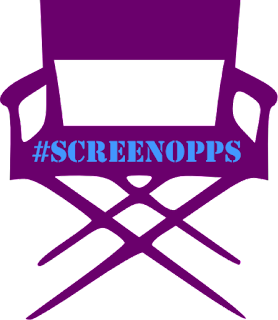 Acceptable screening format is an online screener. We do not accept hardcopy screeners. If submitting more than one film, a separate completed entry is required for each title. The Chicago International Film Festival celebrates the best that cinema has to offer. Showcasing films from established masters and emerging storytellers, the Festival welcomes films from around the world. Offering an impressive selection of competitive and non-competitive programming, the Chicago International Film Festival brings films both domestic and international to silver screens in Chicago. Eligibility: 1. Films completed on or after September 1, 2016 are eligible. 2. Films previously submitted to the Chicago International Film Festival are NOT eligible. 3. US premieres are given priority, but films must be at least a Chicago premiere. Films that (a) have screened publicly in the Chicago area, (b) have had a theatrical run in the US prior to the Festival dates, (c) have aired on US television prior to the Festival dates, or (d) are available for purchase in North America are NOT eligible. 4. Feature-length films (narrative or documentary) that are available for public online viewing in their entirety are NOT eligible. Short films (under 40 min) may be available online. 5. Films shown at private screenings not open to the public (for crew, investors, etc.) are eligible. 6. All entries must be either in English or subtitled in English. Dialogue lists are not accepted. 7. Entrant confirms and warrants required legal authority to submit the entry into the Festival and to use all music, images, and content in the entry. Our production consists of storytelling 7 main short stories to be used for TV/Web & a Drama Institution's channel to highlight the human struggle and the human soul in today's world. Shoot Dates/Location: Shoots in NYC, Mid June. 4-hours Max. Pay: IMDb Credit, Reel Footage delivered to your inbox, a free future coaching session by Cristhian Andrews, and an opportunity to be coached during the shoot by a high-caliber professor from a top Acting Univeristy. No pay unfortunately at this time. Shoot Dates/Location: Shoots mainly on weekends (afternoon/evening) in NYC. Pay: Photos and footage may be used for personal reels and portfolios. Seeking New York City actors and actresses for The Set NYC and NYC Monologues' New York 70 Hour Monologues Festival. Producer states: "Perform on stage, network, perform a monologue, and sign up for the 70 Hour Film Challenge with coordinator Nick Sakai ("Orange is the New Black," "The Affair," "Law & Order"). The Set NYC is featured on NBC and Today.com . Monologues must be memorized. Venue/stage is in the Lower East Side Manhattan. Perform on stage; connect with producers, film industry guests, and theater industry guests; improve your performing stage presence; and create short films in 70 hours. Looking forward to your profile submission." Shoot Dates/Location: Performance date(s) TBD on the Lower East Side of NYC. For more OnScreen opportunities, visit Backstage.com; ActorsAccess.com; or Playbill.com. We need an entire crew for a feature film. Hiring A DP, 1st AD, Makeup, Production Assistants, Grips, Boom, Script Supervisor. Craft Services. Dates 06 July – 28 July. Mostly interior shoots. Four exteriors. Eligibility: Previous experience required. Must be able to locate to New York City. Vox Media builds smart media brands people love, empowering trusted digital voices with proprietary technology to create and distribute stories to an audience of hundreds of millions of young adults worldwide. Vox Media is eight distinct brands: The Verge (Technology and Culture), Vox (General News), SB Nation (Sports), Eater (Food and Nightlife), Polygon (Gaming), Racked (Shopping), Eater (Food and Nightlife), Curbed (Real Estate and Home), and Recode (Technology and Business). Eligibility: Experience as the editorial/creative lead for a successful podcast or broadcast program. Experience managing a production team tasked with meeting daily deadlines. A portfolio that demonstrates an ear for great tape and inventive approaches to audio storytelling. A track record of developing stories that draw on diverse perspectives/source lists. Strong collaborative skills, as well as the ability to delegate and prioritize effectively. A strong news background/journalism chops. Proficiency in audio mixing. Experience coaching and developing host talent. An All-New YouTube Destination for Kids, From the Makers of Sesame Street! Sesame Studios features the same educational goodness as Sesame Street, but completely different. We are looking for fresh creative talent to dazzle and delight preschoolers. Method Studios is currently in search of a Production Coordinator to join its Production team. The Production Coordinator is responsible for the assignment and tracking of tasks for assigned area of responsibility. They will facilitate the movement of shots between teams, coordinate daily reviews, and communicate status updates ensuring the delivery of shots on schedule. Through the generosity of Loreen Arbus, New York Women in Film and Television has established the Loreen Arbus Disability Awareness Grant. The film completion grant for $7,500 will be awarded to a woman filmmaker for a film on physical or developmental disability issues. Directors and producers are eligible to apply. Eligibility: Films may be of any length or genre. The Grant will be awarded to help complete a work-in-progress. Films must have completed principle photography to be eligible. Finished films are not eligible. Filmmakers must be US-based. The Digital Bolex Grant for Women Cinematographers offers approximately $10,000 worth of gear and accessories loaned on a rolling basis to any narrative short, music video, or feature film project to be shot by a female cinematographer. Recipients of the grant receive a loaned camera package for up to 21 production days. Eligibility: Grant is open only to productions that engage a female director of photography. Grant is only open to films shooting in the Continental United States. As a center for non-fiction storytelling, NW Documentary seeks to encourage and foster documentary storytellers. The success of a creative, thriving environment is based on a variety of artists of different experience levels, working under one roof. The center is a place where upcoming storytellers gain inspiration, insight, and encouragement from experienced and established professionals. Likewise, active professionals benefit from a lively community consisting of support, creative exchange, and resources that would not be available to them as solo artists working from their homes. In addition to our regular workshops, internships, and volunteer opportunities, NW Documentary offers the Artist-in-Residence program to fulfill this need. Eligibility: The Artist-in-Residence is an opportunity for non-fiction storytellers who have demonstrated a passion and commitment to their craft, an original artistic vision, and a desire to develop their work within a creative community. The term “non-fiction storytellers” is not exclusive to a single documentary medium, but may include: film/video, audio, photography, literary non-fiction, multi-media or other. 18th Street Arts Center values art making as an essential component of a vibrant, just, and healthy society. Its mission is “to provoke public dialogue through contemporary art making.” Founded in 1988, 18th Street Arts Center has fostered and supported the work of many of Los Angeles’ most engaging artists, and has built bridges to artist communities around the globe. Eligibility: The Visiting Artist Residency Program accepts applications from working, professional artists who demonstrate a deep commitment to their practices. The program is open to artists of all generations, nationalities, and disciplines. Applicants are required to cover studio rental costs themselves. Although we primarily support visual artists, 18th Street Arts Center will consider applications from performing artists, writers, and filmmakers as well. Submission opportunities for women in theatre. NO FEES REQUIRED TO SUBMIT TO THIS FESTIVAL. Submissions Accepted from Everywhere in the US Shows from outside NY and NJ can only run if the entire cast and crew are from New York City. Submissions must be between 5 and 90 minutes long. NYSummerfest is not only a festival, it’s a competition as well. Please know that all genres are welcome, including MUSICALS. Several of our winners over the years have been musicals. We are all musicians, and know exactly what you need to make your show a success. ONE ACT PLAY WELCOME Our 11th Festival Season There is no question why NYSummerfest has taken the world of playwrighting festivals by storm, becoming one of the largest festival in the country in just 5 years. It’s because playwrights and musicians enjoy staging their plays with us! We are a group of playwrights who, after years of staging our plays in NYC festivals, said: “Why don’t we create a festival that includes everything we dreamt of having?” The result is beyond our wildest expectations. Is this sheer luck or an acknowledgment of what we offer? Let’s find out: Our participating playwrights receive: Acknowledgement in the form of excellent prizes $7,000 in total, you won’t find bigger prizes anywhere! A 3 month-long festival that lets each production breathe, with 45-minute set-up pre-show and prime performance hours. We offer free tickets to all shows for the cast and crew of every production, participants have the opportunity to learn from the work of their artistic colleagues. The longest tech time than any other festival. A 99-seat theater with beautiful, fixed red fabric seats, + six places for wheelchairs. 92 lights on our grid! Yes, you read right; 92 lights, including colored gels and LED lights in order to let you paint brush the moods and atmospheres of your scenes. An 88 electric piano that all productions can use. 74 set props, including varied pieces of real furniture, that every production can use. Ninety percent of our past participants have created their sets with our props. No more double parking rental vans, while you rush to unload props, trying to outsmart meters! Enough storage space to allow you you to leave your costumes and props and sets in the theater during your run. We don’t have popularity prizes for bringing the largest audience. In our festival, sometimes the barest production with the smallest audience attendance wins first prize simply because it was excellent! We do not use seasonal volunteers! One of our principle founding members is always at the theater to support you during your tech, box office times and performances. Each applicant is fully responsible for all elements of their production. These include directing, casting, stage-managing. Plays are considered on a first-come first-served basis. (The earlier you submit, the better your chances are of having your script invited to the festival.) Submissions may close before July 1, 2017, if we reach the maximum number of plays. 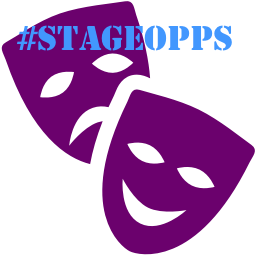 The participation fee has a 20% discount for #StageOpps subscribers. Don't forget to email specialoppscode@gmail.com to get the special code for this month's Special Opportunity! Ashland New Plays Festival assists playwrights in the development of new works through public readings and offers an educational forum to the community through discussions and workshops. Deadline: Begins June 15, 2017 at 8 a.m. PT. Submissions close when 400 scripts are received or on December 31, 2017, whichever comes first. A running tally of submissions will be shown on our website. Every year we seek 10-minute radio scripts that are genuinely scary, imaginative, chilling, intelligent, suspenseful, horrific or downright grotesque. Writers may submit up to two radio plays to Deathscribe in any given year. Five scripts will be selected from all submissions. These five pieces will be performed on stage in front of a live audience. Eligibility: PDF format is strongly preferred. If PDF is not possible, then only MS Word please. All scripts must have a title page with all contact information, but NO identifying information should appear anywhere else in the document. The Deathscribe experience includes performing the pieces on stage with Foley artists and a band creating the sound effects and music live. Therefore, scripts must be ready to produce, including direction for sound and music cues. Sorry, but submissions cannot include usage of copyrighted music. Writers may submit up to two (2) scripts for Deathscribe consideration in any year. MITF: Summer is going to be the biggest theatre festival in NYC-don't miss your chance to be a part of our exciting line-up. The summer festival is a combination of short plays and musicals, full-length plays and musicals, a variety division, the Short Play Lab, and staged readings. Categories: A combination of full-lengths, short plays, and musicals, children's plays, a Variety division (Magic Acts, Improv, Stand-up, Cabaret, Sketch Comedy, etc), the Short Play Lab, and staged readings. Rose Desena and Peggy Howard Chane run a monthly show in the Theater space below the bar at Lucky Jacks on Orchard St. We are looking for Original writing of short stories, plays or essays. Please see the rules below. Categories: Original writing of short stories, plays or essays. We like funny, romantic, or Political (we like those). Categories: A collection of 50 short plays that address an aspect of climate change; a list of resources to help make your Action effective and unique; organizational and marketing support; and a lot of enthusiasm! Edgemar Center for the Arts in Santa Monica is a cultural art center designed by Frank Gehry, where theater, dance, music, visual arts, and our annual film festival, Cinema at the Edge, come together in one place. Our Mission is to provide a physical environment that nurtures the creative process and encourages collaboration between writers, directors, actors, musicians, dancers, and visual artist; to create a learning environment for children and adults; and to invite the community to observe, engage, and interact to add its voices to our creative discovery. The LTA Millennial Committee is sponsoring the second installment in our New Voices series and we need your Halloween themed short plays! We want to provide a platform for unknown playwrights and new directors by staging original shows directed by Millennials. Following our wildly successful inaugural spring event (over 100 attendees in one evening) we will be putting on a two night Halloween-themed performance on October 27th and 28th, 2017. Eligibility: It is free to submit, and no pay will be provided to winners; we operate on a volunteer basis only. You may submit a maximum of three shows. More than one show from the same author may be selected. Preference will be given to shows from VA/MD/DC, but you can submit from anywhere. No age restrictions on playwrights, although Millennials will be given preference if shows are otherwise of equal quality. Shows may have been performed elsewhere. Categories: All shows must have a run time of 30 minutes for less; preference is for shows of 15 + minutes. Welcome 2017 playwrights! We are entering our third year of writing pieces about 365 historical women a year! We would love to have you write with us. Categories: You can write about as many women as you want and they can all be in the same piece, or separate pieces. It is okay if the piece is simply about the historical woman or women, but they don’t appear. Any length welcome from 2 pages-full length. Any number of characters. Any language. Any genre. Musicals included. As part of our celebration of SWAN Day 10, we want to feature new voices in the WomenArts Blog. We are especially interested in writers who can provide diverse perspectives in terms of race, class, religion, age, sexual preference, gender identity, disability or other characteristics. We will pay for every article we publish that has not been published elsewhere. Application Fee: Our maximum fee will be $200 for articles of 500 – 1,000 words that we publish that have not been published elsewhere. The fee will be negotiated on a case by case basis for shorter or previously published articles. WomenArts reserves the right to edit every article, and we will retain non-exclusive publishing rights. The author will have the right to publish the article on her own website or elsewhere after we have published it. Eligibility: We prefer articles that are 500 – 800 words in length. It is extremely rare for us to publish articles longer than 1,000 words. We will also consider shorter articles if they fit one of the categories below. Categories: Inspiring Women – Articles about extraordinary or inspiring women artists and their accomplishments; articles about women artists overcoming obstacles; reports on festivals of women artists. Gender Parity Research & Actions – Articles summarizing research studies, legal actions, demonstrations or other activities related to the struggle for gender parity in any art form. Helpful Resources – Articles with tips for women artists on publicity, fundraising, crowd-sourcing, job-hunting or other business aspects of their work; articles about helpful directories, websites or other resources. Our $500 Emerging Playwright Award (coupled with press coverage) is given to playwrights who show excellence and dedication throughout this process – from development to the stage. Out of hundreds of submissions a year, we select 15-20 plays for readings. From these, we select 1-3 plays annually to go on to our workshopping phase. Our workshops are meant to prepare a play for our Off-Broadway stage. From our workshops, we select 1-2 plays for full productions, complete with a playwright’s contract and compensation (separate from the award). Eligibility: Plays may have been developed or produced elsewhere, but never produced in New York City. Plays from overseas and throughout the US are accepted and considered, but special attention will be given to playwrights who live in or near New York. Sight & Sound Theatres' 2018 Season, NYC & PA Appts. Seeking principals and featured ensemble/understudies for Sight & Sound Theatres' 2018 season and for any mid-season needs that arise within current 2017 season. Season includes “Jesus,” a world premiere, and “Samson.” Seeking triple threats and a few strong actors (non-singers) as well. Experienced performers of every type and race encouraged. Production Dates: "Jesus" (Lancaster, PA) and "Samson" (Branson, MO) rehearsals begin mid-January 2018. “Jesus” runs March 10, 2018–Jan. 5, 2019. “Samson” runs March 3–Dec. 29, 2018. For more Onstage opportunities, visit Backstage.com; ActorsAccess.com; and Playbill.com. Northlight Theatre is seeking a Wardrobe Run Crew for hourly employment beginning September 2017 through December 2017. Previous experience required. Eligibility: Sewing skills a must. Makeup and Wig experience is a plus. Accepting resumes immediately. Send resume to Scott Miller, Production Manager via email. No calls please. Weston Playhouse Theatre Company is looking or a master electrician for upcoming season. Indiana Repertory Theatre is currently accepting resumes for an Audio/Video Engineer. This is seasonal position with benefits, contract runs approximately late August through May. Indiana Rep is a mid-sized LORT (C and D stages) theatre, producing a wide variety of existing and new work for adults and children (currently 9 productions) located in downtown Indianapolis. Eligibility: Duties include operating sound and/or video for shows, dance concerts, and one-off events; assisting the Senior Engineer and the Resident Sound Designer; attending rehearsals and meetings as needed; maintenance, repair and upkeep of audio and video equipment. Skills required: Current working knowledge of large format sound systems, experience in professional theatre, multi-projector video systems, headset and 70v distributed systems, playback and editing software for audio and video, I.P. based A/V distribution, and Apple networking, proficiency with live mixing, recording and reinforcement. At the IRT, we believe that diverse ideas, backgrounds, cultures, and traditions enrich the quality of work we present on the stage. We are committed to all forms of diversity in all areas of our work. Please send letter and resume to irtsound@gmail.com and include the words “Audio/Video Engineer Search” in the subject line. The Annenberg Foundation does most of their funding in the arts, culture, and humanities to organizations in the counties of Los Angeles, Orange, Riverside, San Bernadino, and Ventura. The Annenberg Foundation's arts and humanities grants are available to agencies that serve the greater Los Angeles region, typically with budgets over $5 million. ARTErra is a private structure of incentive for artistic creation which aims to facilitate encounters between different artists and aesthetic disciplines. ARTERRA is strongly committed to offering the residents a cheerful and productive stay. Because of that, partnerships have been established with several partners such as the Municipality of Tondela and Lobão da Beira and many others crafters, schools and artists. Green Olive Arts is an international art studio and urban art residency in Tetouan, Morocco, specializing in connecting the creatives of the world with the culture, beauty and creatives of Morocco. Our mission is to resource creative individuals of both emerging and established artistic talent from around the world in seasons of inspiration, production, collaboration and cultural exchange here in Morocco. Eligibility: 8 studio spaces are available. Applications will be assessed and Residencies awarded by our local Selection Panel according to caliber of the artist's work and fit of the artist's residency proposal with the goals and capacity of Green Olive Arts. Approved applicants may expect a phone interview request before a final decision. Residencies of an average of 2-8 weeks for visual artists, writers, actors, and performance artists. Residency provides housing, studio, and meals; artist responsible residency fee ($40/day), deposit (10% of residency fee), travel, materials, and local transportation. Eligibility: Residencies are available to established and emerging visual and literary artists 18 years of age and older without regard for race, gender, sexual orientation, or religion.